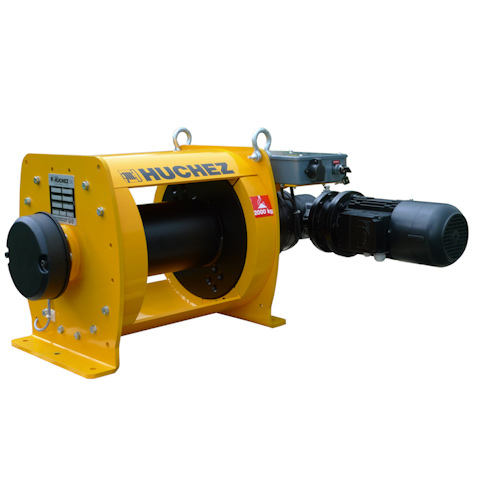 A range of electric winches initially designed to satisfy the needs of the industrial sector. Robst and highly compact, they are suitable for all lifting and pulling/hauling applications from 1 to 10 t as standard. Low voltage control models (with one speed or with frequency inverter) to protect the user from electrical risks. Comply with Machines Directive 2006/42/EC. Designed and manufactured in accordance with standard NF EN 14492-1.